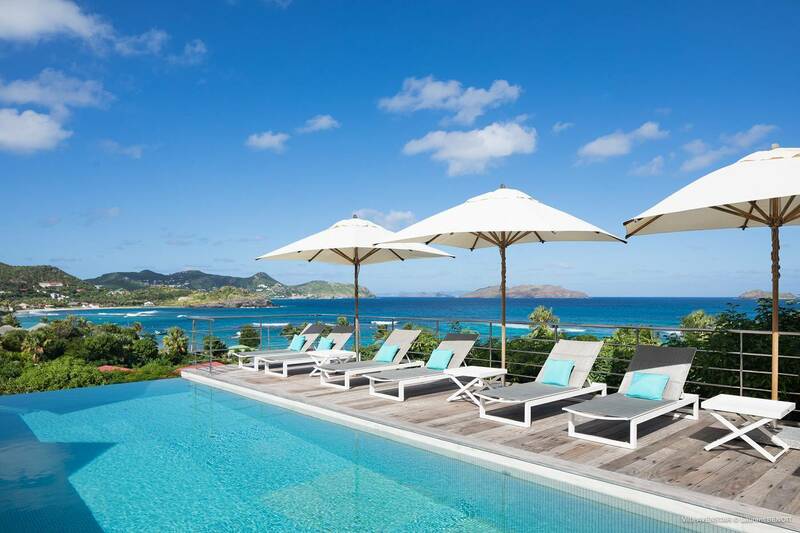 Dream About: Celebrating a special occasion all week with family in a luxurious setting, making memories for a lifetime. 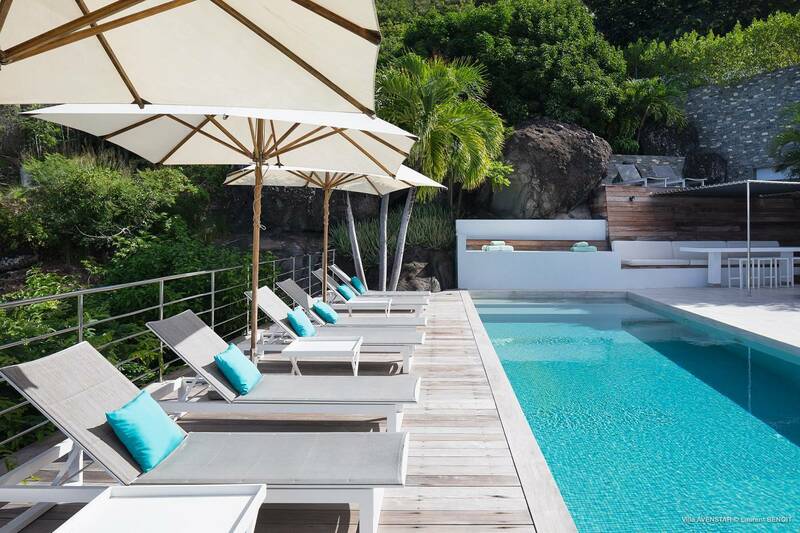 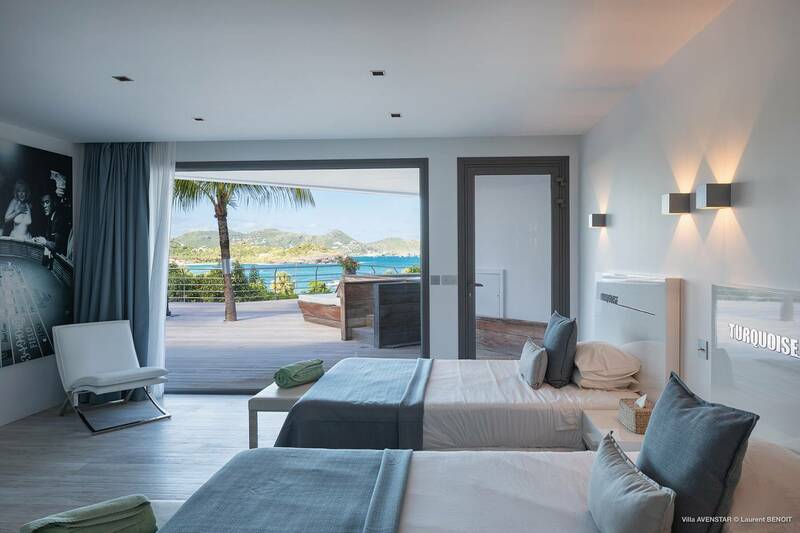 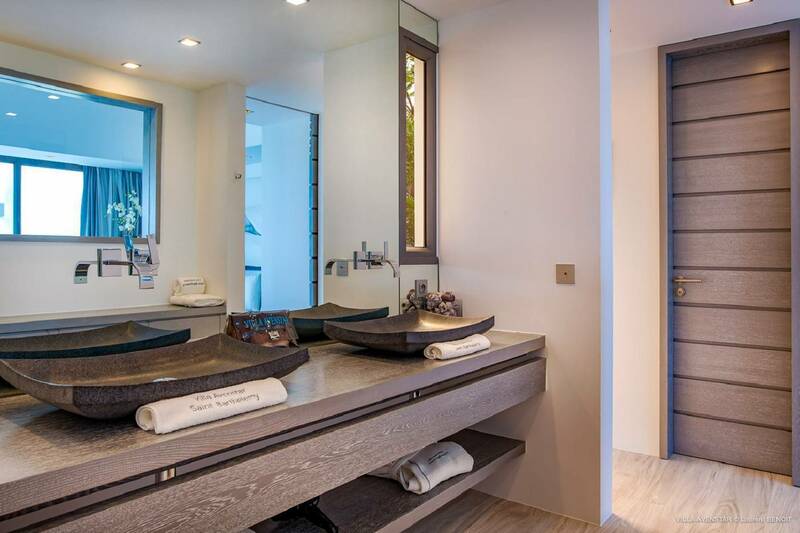 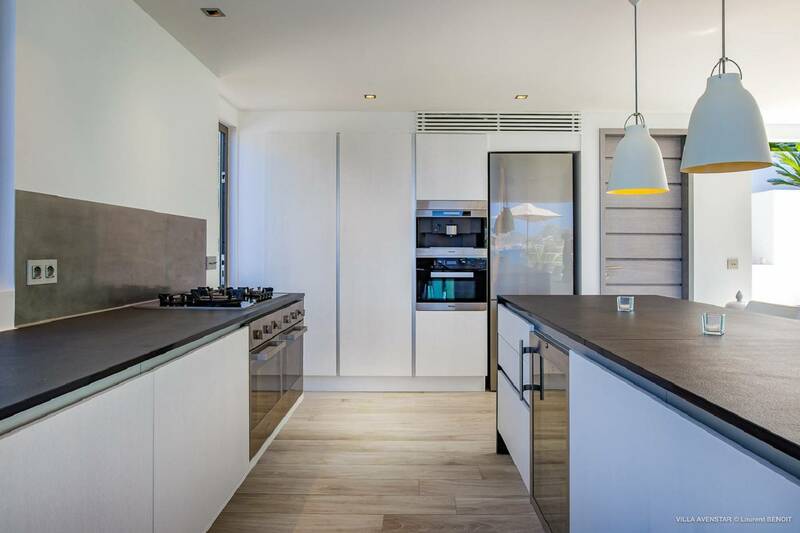 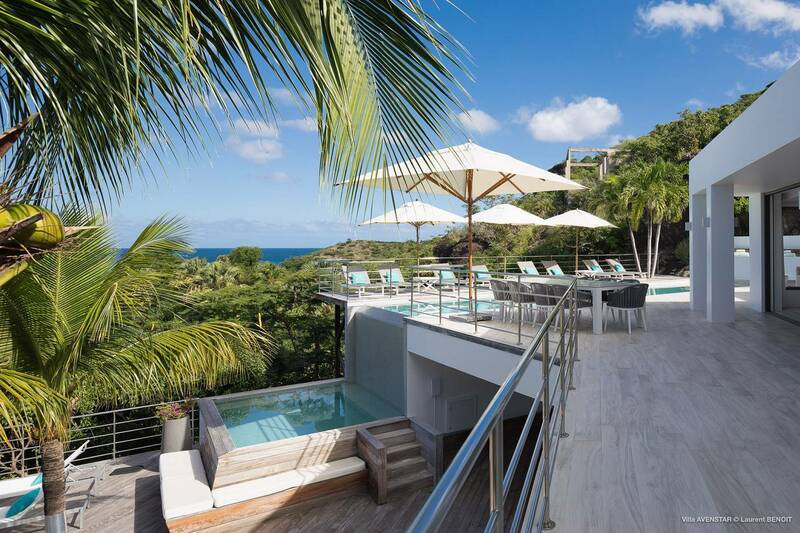 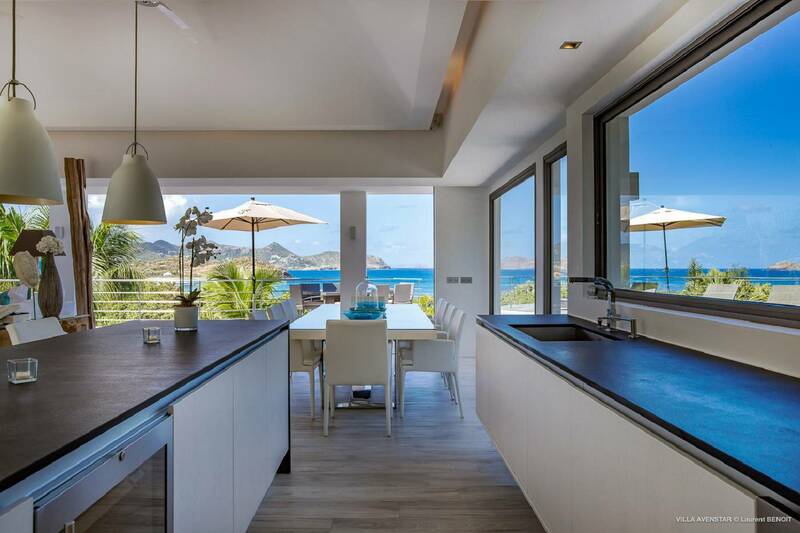 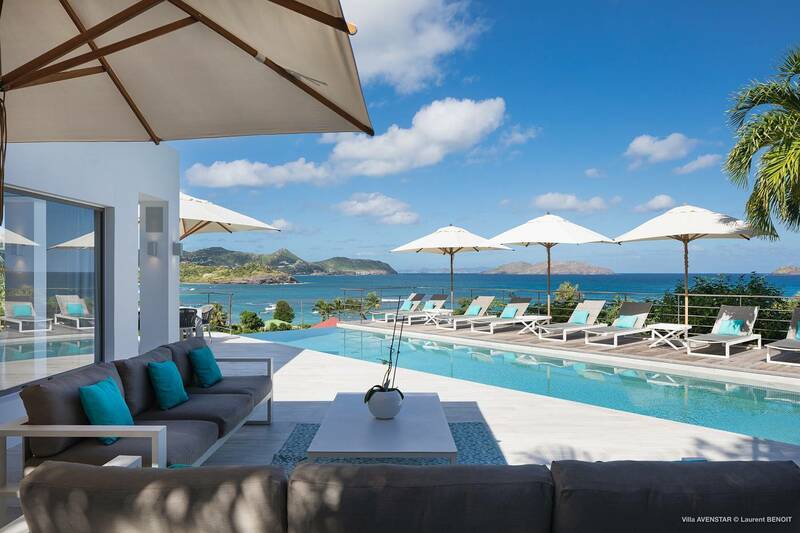 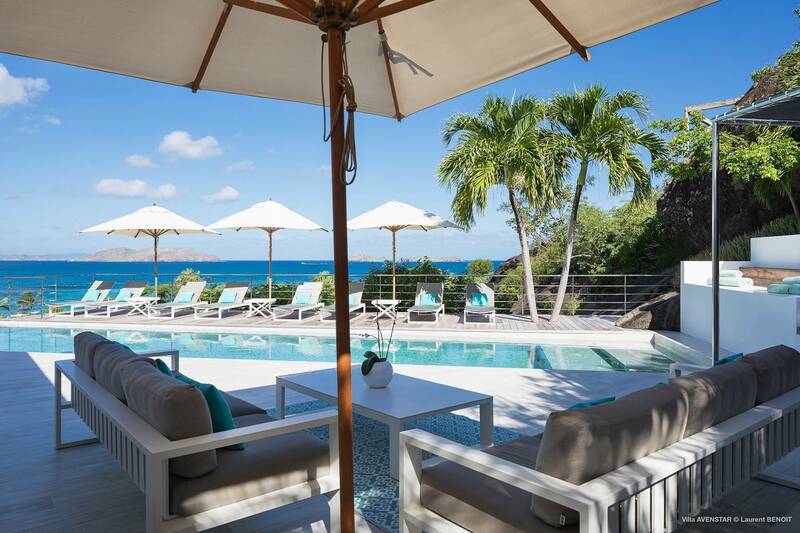 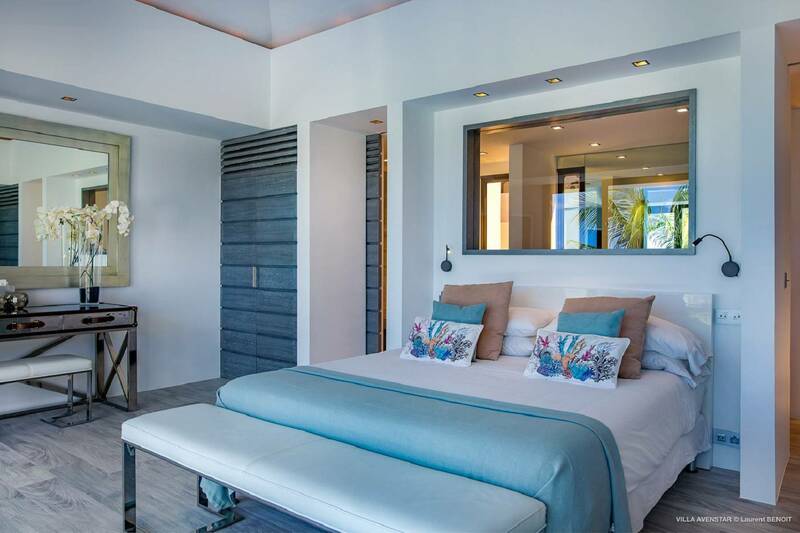 Terraced into the hillside of Camaruche with exceptional views of the sea, Lorient Beach and St. Maarten, the amazing fully air-conditioned 5 bedroom villa Avenstar is configured over three levels. 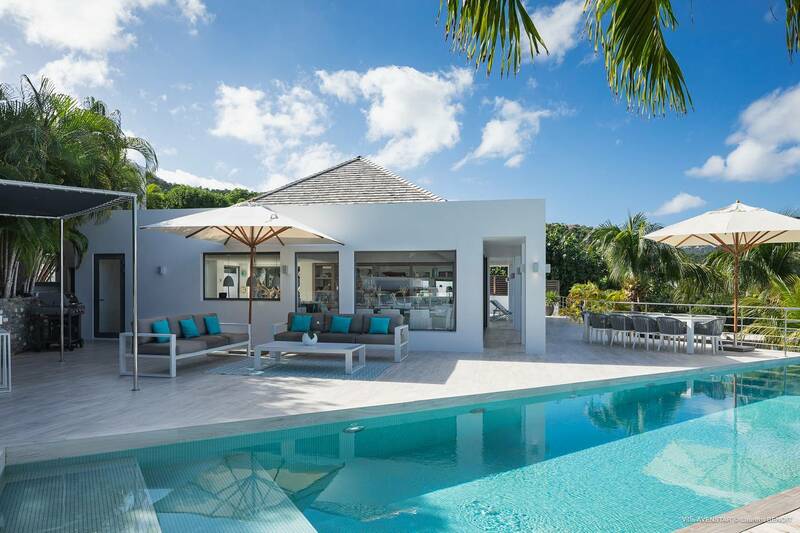 It features extensive and gorgeous outdoor spaces and boasts a spectacular heated swimming pool that cascades down to a second, little pool - perfect for children. 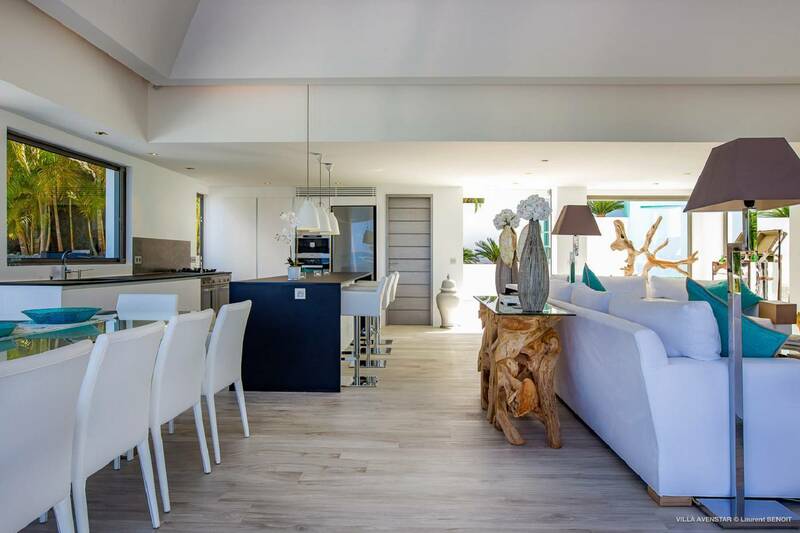 Sleekly contemporary in design and décor with a cool palette of grays and whites, Avenstar has all the latest technology - and then some - including a bevy of plasma TVs. 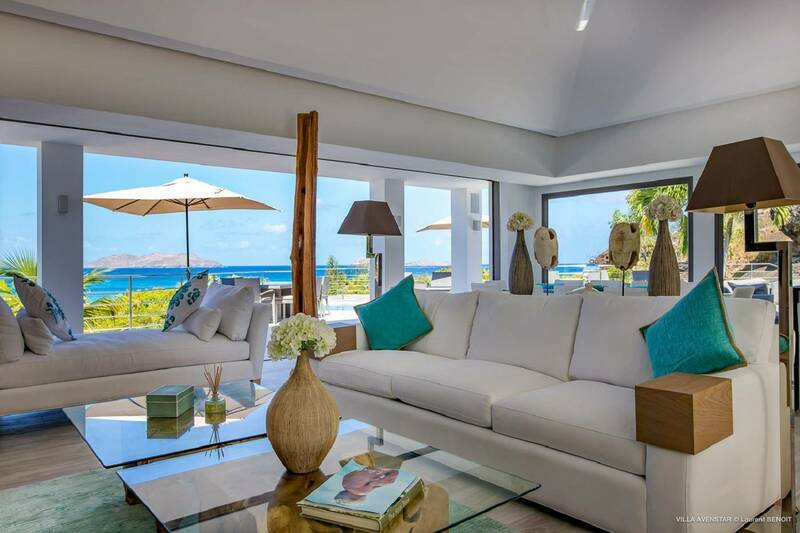 The villa’s hub is on the second and main level, whose open floor plan encompasses a large living room with home cinema, a dining area, a well-equipped gourmet kitchen and a guest bath. 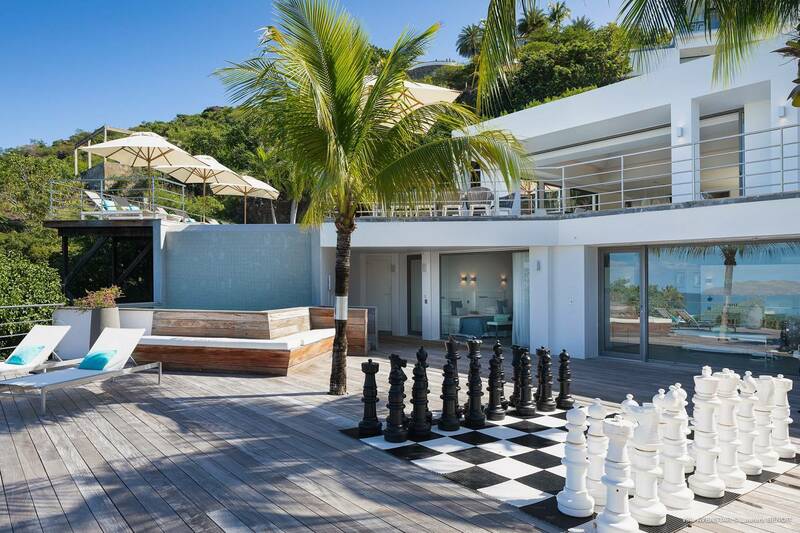 The heated pool is flanked by a spacious terrace for sunning, alfresco dining, and relaxing are also on this level and a second very large deck is on the lower level making Avenstar the perfect venue for hosting a wedding or other special event. 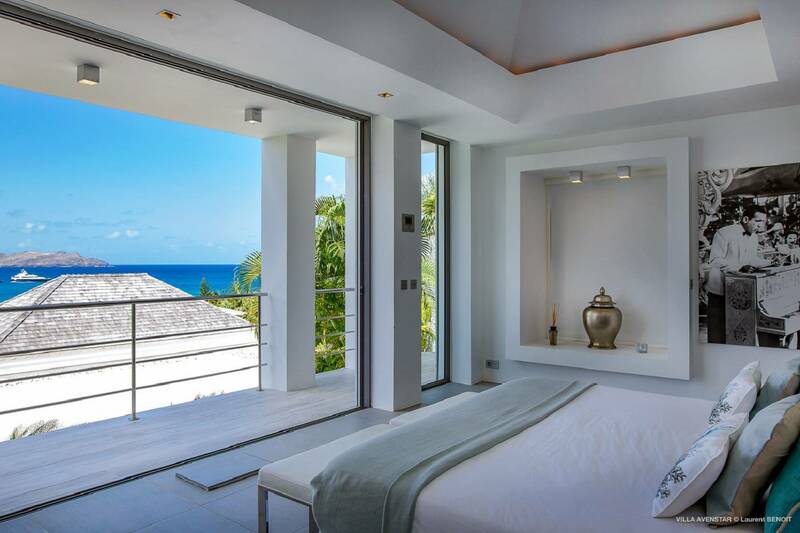 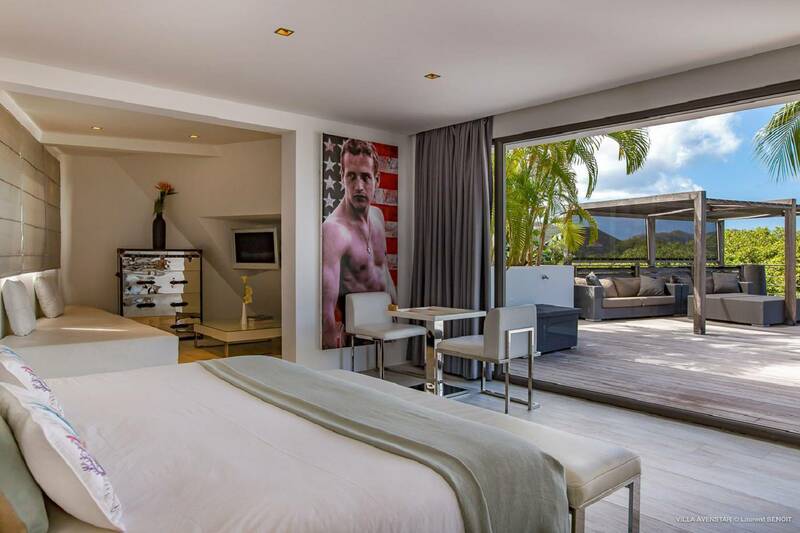 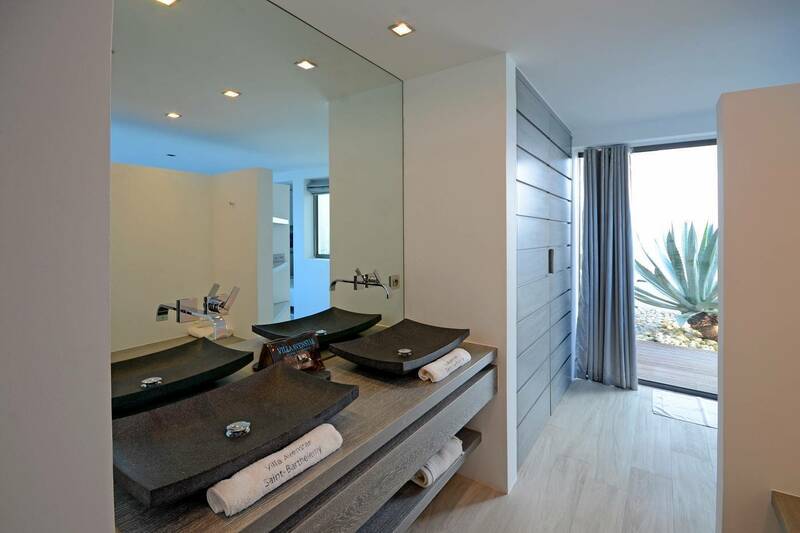 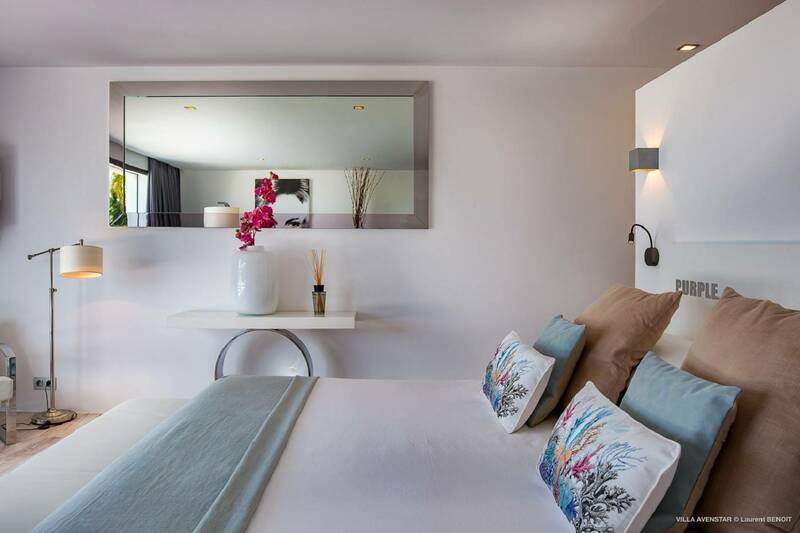 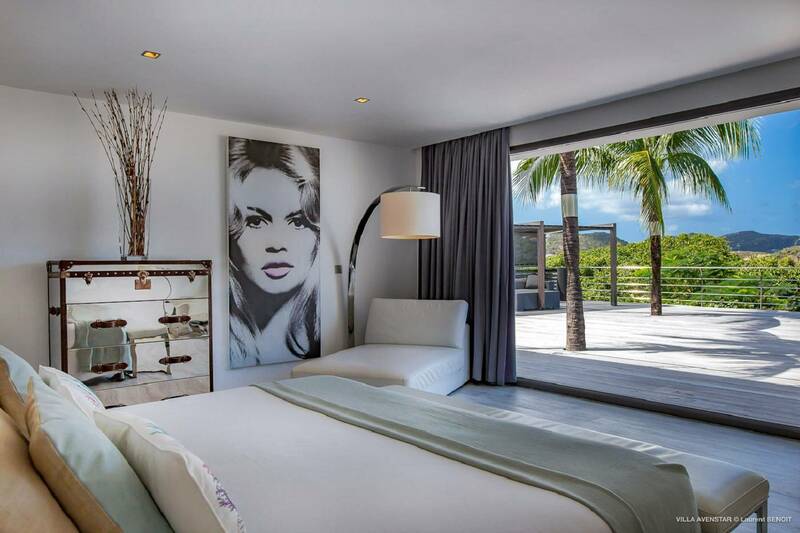 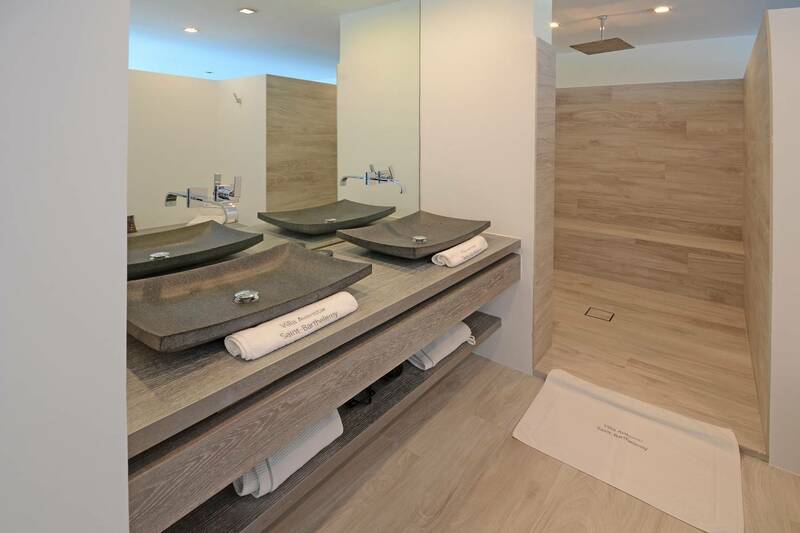 There is a beautiful master bedroom with bath en suite and showers for two on both the first and second levels. 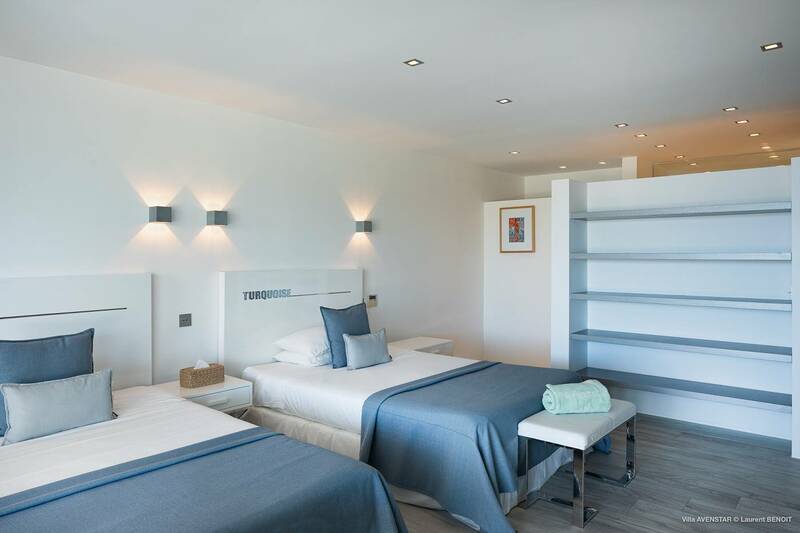 The lower level has three bedrooms; two being large king bedrooms with baths en suite and one bedroom for the children with two double beds and an en suite bath. 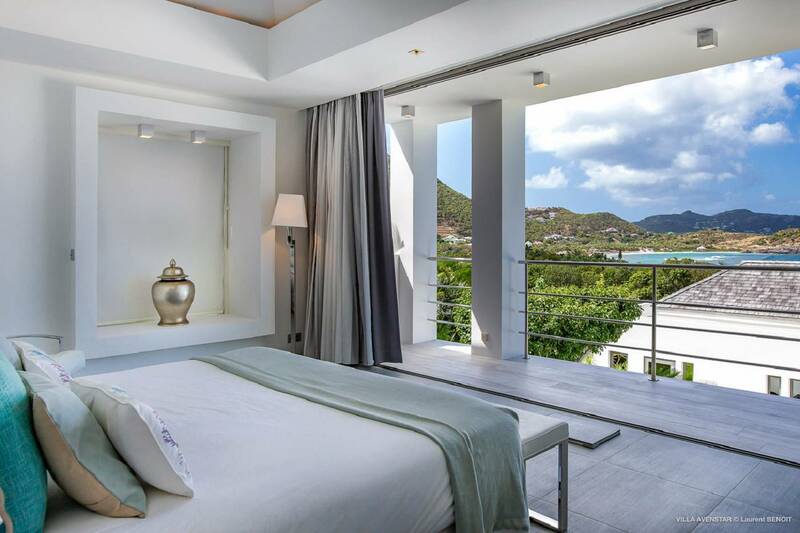 All five bedrooms offer a lovely sea view. 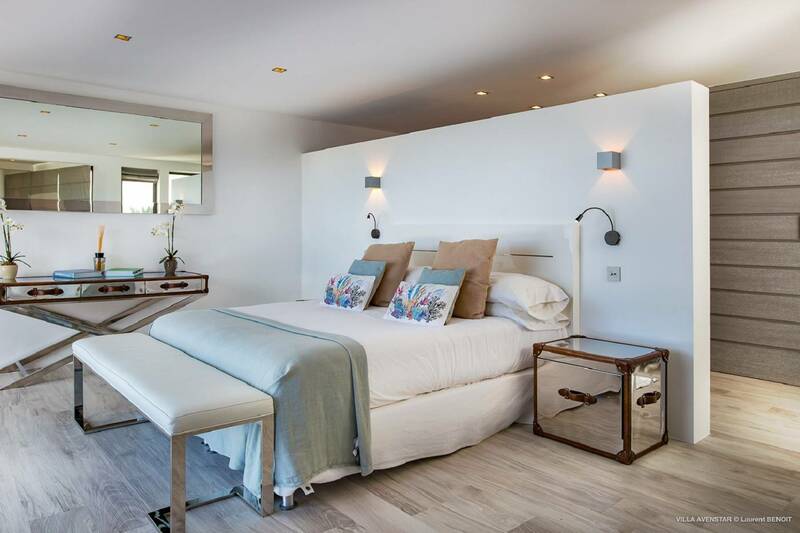 A sixth bedroom, only suitable for staff or a nanny and located in a separate area, has a small bath and is available upon request. 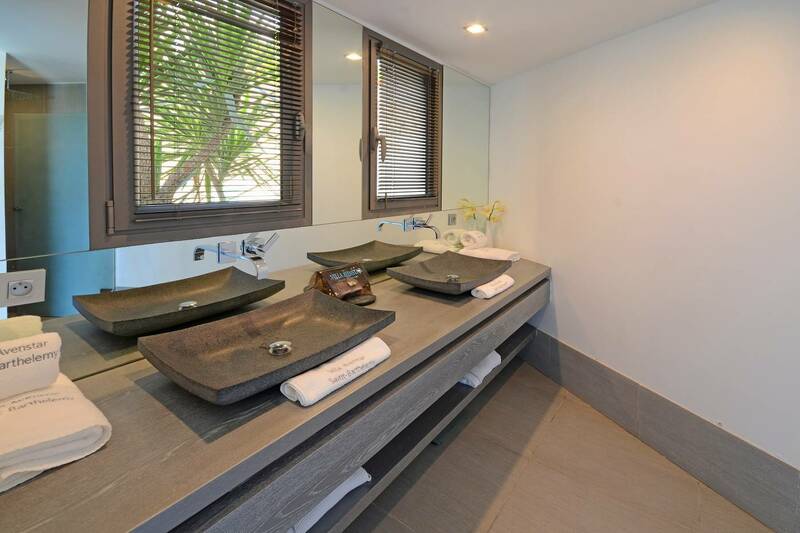 If additional space is needed, Villa Avenstar can be rented along with the 3 bedroom Villa Star for a total of 8 bedrooms. 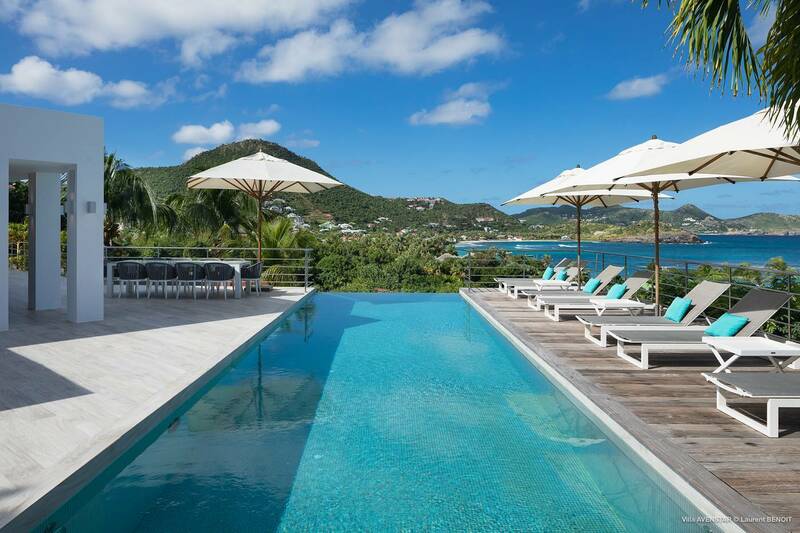 The pool that cascades to create a "swimming hole" for children – and that view! 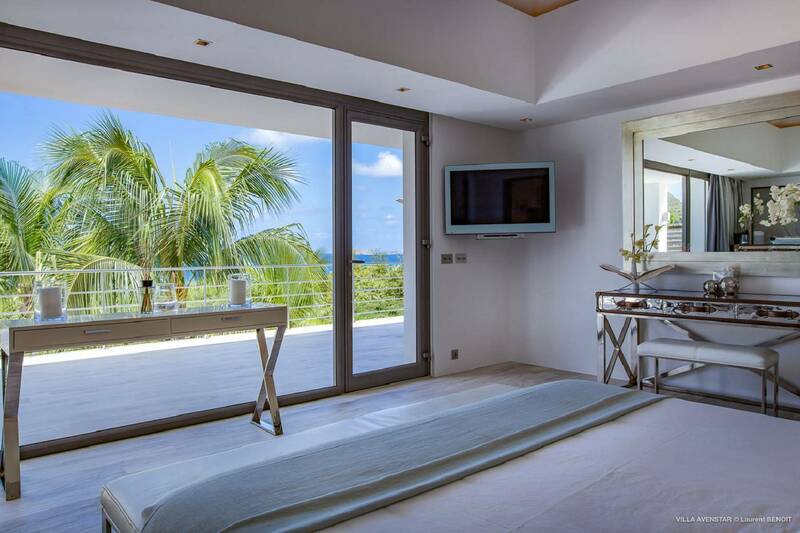 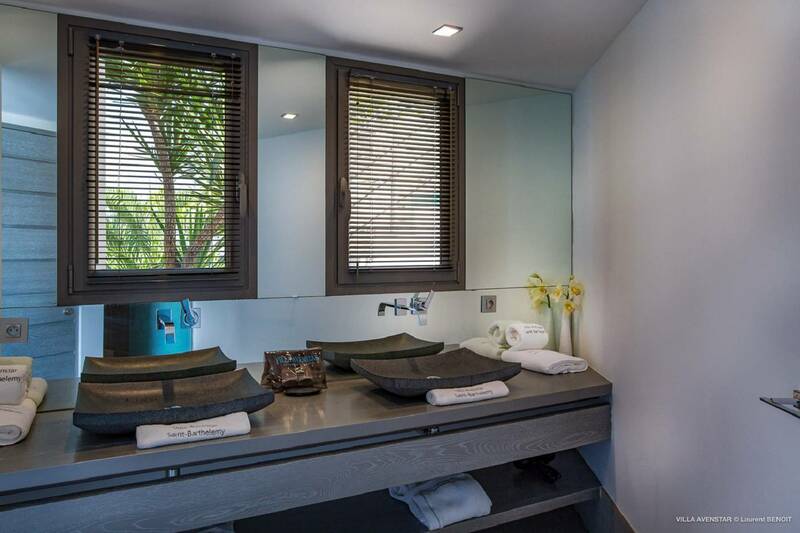 The main pool level is the villa's hub; the view is breathtaking; the en suite bedrooms are on separate levels.